Are you looking to break free from the employee cycle? 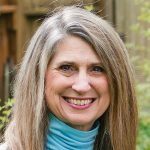 As a career transition coach with The Entrepreneur’s Source, Patti Nilssen helps people explore and understand the endless opportunities of business ownership. If you’re ready to get started, reach out to Patti today!